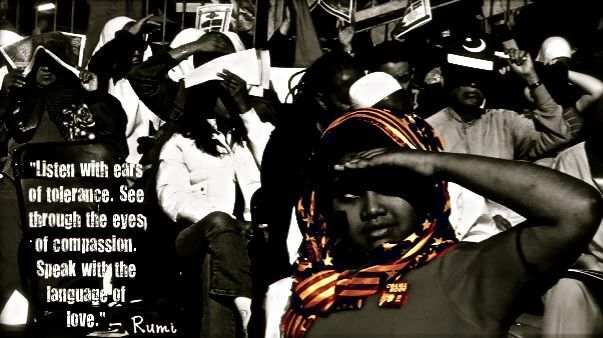 This picture was taken at the annual Muslim Day Parade in New York City in the fall of 2008. I did not take this picture in black and white. It has been doctored using some software.